In the final episode of the series, business journalists Jill Barshay and Seth Stevenson discuss one of the most important negotiations many of us encounter: bargaining for our own salaries. Guests this week include Columbia Business School professor Aaron Wallen, human resources expert Greta Green-Gentile, and employment negotiator Jotham Stein. In Episode 9, business journalists Jill Barshay and Seth Stevenson discuss when and how you should negotiate with children. Like it or not, they know the basic rules of haggling almost from birth. We hear from child psychologist Mark Sossin and Lt. Jack Cambria, of the NYPD hostage negotiation team. In Episode 8, business journalists Jill Barshay and Seth Stevenson reveal the tactics you should know when buying and/or selling real estate. It turns out these transactions can be some of the trickiest, and most emotional, you'll ever face. Their guests are real estate agents Melissa Chen and Sam DeFran. 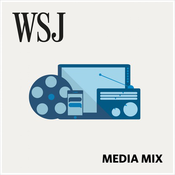 In Episode 7, business journalists Jill Barshay and Seth Stevenson examine the particular challenges and advantages women have when they go into a negotiation. They also consider what men should keep in mind when facing a female negotiator. In Episode 6, business journalists Jill Barshay and Seth Stevenson give you tips on how to close a negotiation and get the best overall deal. 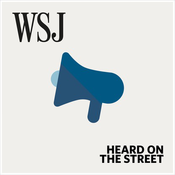 Their guest this week is Lt. Jack Cambria, who heads the NYPD's hostage negotiation team. 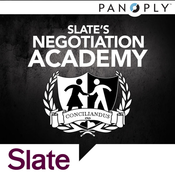 Lyt til Slate's Negotiation Academy, WSJ Media Mix og mange andre stationer fra hele verden med app'en radio.dk.